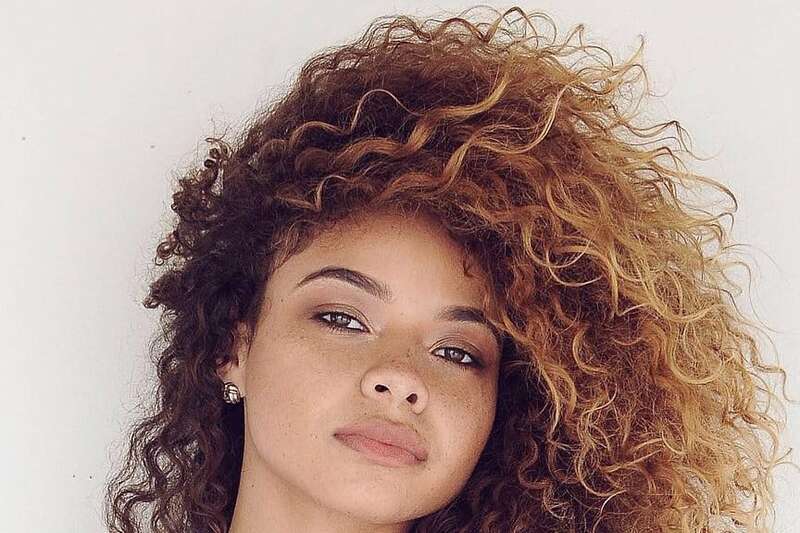 Curly hair often makes women more mysterious and attractive, so in today’s world, many people choose curly hair extensions to replace the hair straight, short or curly but not very fashionable. It is a wise and intelligent choice. Curly hair extensions contain a very mysterious and special attraction that does not have any hair. It makes women become vibrant, playful and no less charming and nice with almost all women. Let me learn all about curly hair extensions. So why curly hair extensions should be your choice. Because curly hair extensions are made entirely of human hair, it looks natural hair extensions and does not make you uncomfortable and you can also do The things that you usually do on curly hair extensions are not afraid of any damage. Of course, they are more expensive than hair extensions, but you can feel soft, light and comfortable. Use the hairdressing remedies that you like. Again, at a cost less than a little, it will not give you any feeling of freshness and vibrant. If you are looking for a cute hairstyle with volume, then go for these beautiful curls. This hairstyle gives you a lot of fullness, plus the curls look amazing. When it comes to curling your Hair extensions, it all depends on the type of curls you have as the tighter the ringlet, the more difficult it’s going to be to match the hair extensions to your natural curl pattern. For example, if your hair has a slight kink to it, then it’s going to much easier curling your hair extensions to blend with your own hair, than creating afro hair with your hair extensions. You want curly hair extensions to stay long with natural beauty, elegance and full of vitality but that must be an easy thing. So today I will share with you the great secret to Keep your hair beautiful for a long time. Whenever you want to use a curling iron on curly hair extensions, you pay attention to keep them straight down and cold immediately to keep the structure of the hair inside. When you heat the hair around the heat of the iron, inside Hair will change the epidermis and make it change shape as we want it. When it is refrigerated, it will cover the epidermis and firmly set your hair to stay long, then you want. Use the best hair care products on the market to ensure your hair is firmer and to retain the curls longer. Take care of curly hair extensions periodically and regularly for longer stays with you. And always give you the best feeling. Learn about quality hair brands on the market to find and choose the most suitable and quality curly hair extensions because so many profitable companies mislead users by mixing the hair instead of pure human hair makes the product imperfect and destroys women’s curly hair extensions but it’s really great. One of the biggest problems women have with curly hair extensions in general and hair extensions says they are how to get rid of tangled hair on top of each use. I will show you great tips. to get out of that situation. Keep your curly hair extensions clean by washing them with gentle shampoos, low-toxic shampoos and good quality products. Keeping curly hair extensions under condition will change. Structures on the hair and can use a large tooth comb to help hair out tangle puppet. Leave in conditioners are great for refreshing extensions especially curly ones. However, applying too much can also lead to buildup which is a recipe formatting and tangles. One great DIY leave in conditioner is simply using your favorite ‘regular’ conditioner and dilute it with distilled water. Again, if there is buildup, just shampoo! The sweat and the bad effects of chemicals and ultraviolet rays while working or swimming outdoors will also make your hair become discolored and wear out of the hair. So be careful not to let them excessive exposure or overcoming by wearing a hat to protect curly hair extensions. You usually have the habit of rubbing your hair or moving them into a mess. I advise you to give up the habit because it does not work. It just messes you up. . Lift your hand slightly down in the direction of the hair in one direction and gently press down under the lotus shower. Curly hair extensions are a smart choice for you to make you look young, charming and lovely. I hope that my share below will bring you useful information. about curly hair extensions.